BOSS StrongBox is made with doubled locked Medeco High Security Locks. Lock cams are shielded to prevent damage to the contents and to prevent tampering. 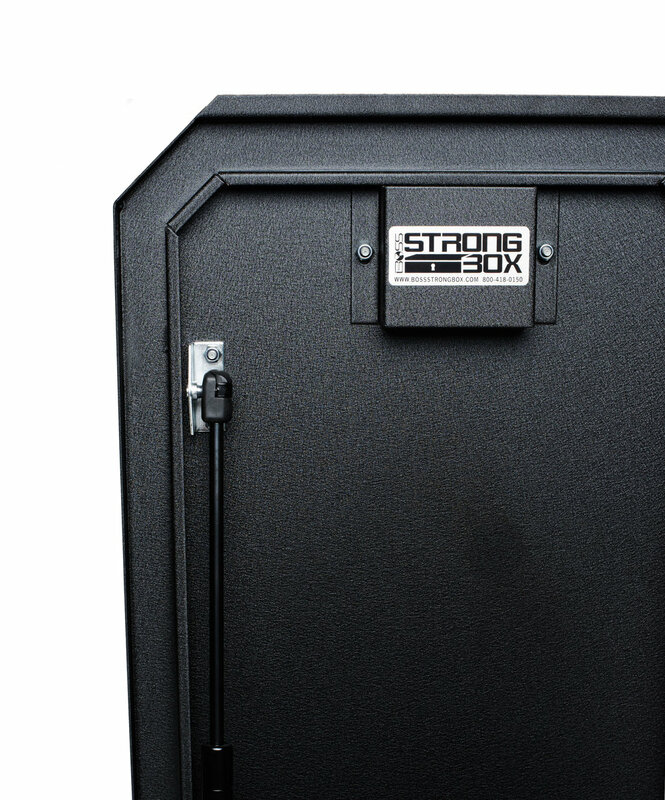 Each weapon locker is constructed of cold rolled steel and powder coated in wrinkled black. We also line the bottoms of each cabinet with foam to cushion your valuables. 3-Point latching system with 3/8” (.375”) diameter steel rods and 7ga 300-series stainless steel pawl. All of our products are designed and manufactured in America. We have a number of facilities in Southern California that help deign and build all our products. We stand by the quality of our products and are very proud to keep the process here in America and local to our main office. If you need more information and pricing, please fill out the form below and we'll get back to you right away. You can also download our digital brochure by clicking on the bottom above.